SyncSpider is THE solution for importing, exporting and syncing your data. You, as an entrepreneur probably know the problem posed by the fact that large data sets must be manually entered and kept up-to-date in different systems. This is tedious and costs time, money and resources that could also be invested in more important projects. SyncSpider is like a company-specific software which is optimally tailored to your company while keeping your business flexible. 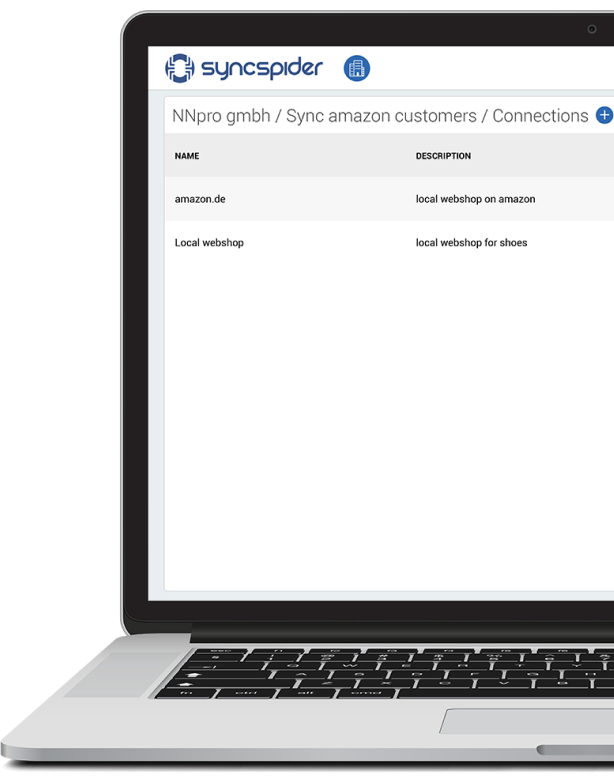 With the Webapp, you can synchronize data from different systems such as webshops, online marketplaces, ERP systems, CRM systems and many more. 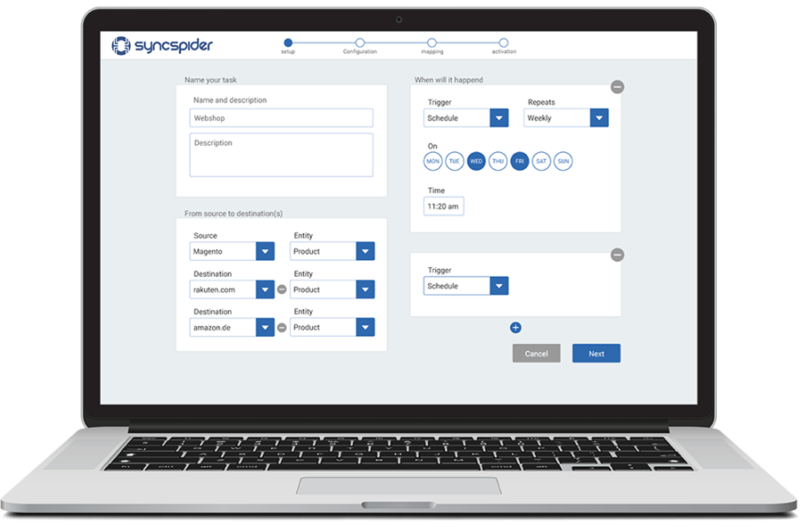 Check out for yourself how SyncSpider simplifies your daily work routine. All systems used are always kept up-to-date without having to manually enter all data into all systems. SyncSpider automates your data synchronization and helps you concentrate on things which are more important to your business. So your data is always kept up to date without you having to deal with it 24/7. The market is changing? So should YOUR COMPANY! SyncSpider provides tremendous flexibility. You do not have to follow the trends in the market, but you can react to them at the right moment. With the newly acquired flexibility, system changes are no longer a problem. 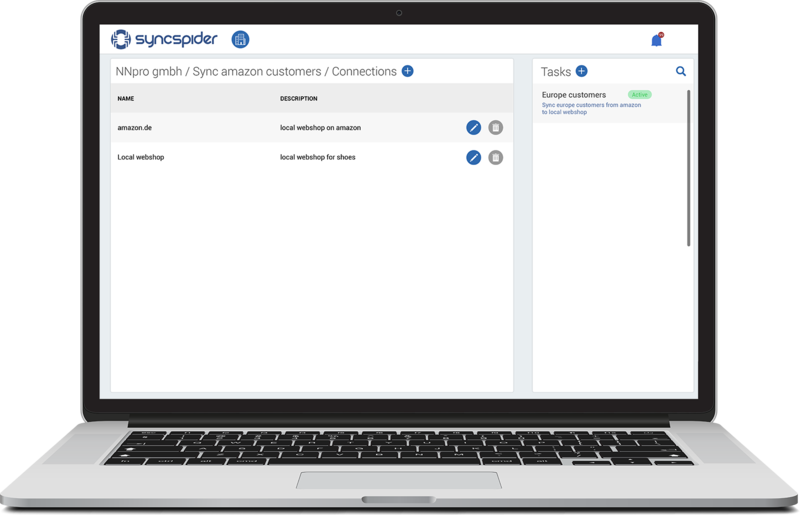 SyncSpider allows you to import all data into your new system within a very short time. By automatically synchronizing your data, resources, time and money can thus be saved. As an SME, it is often difficult to reconcile online and offline sales channels. The maintenance effort is enormous and the resources are scarce. SyncSpider takes care of your business and handles much of the manual data maintenance. This allows you to keep all systems up-to-date with just a few employees. Become a software architect with SyncSpider. The app is not only meant for techies and programmers. The user interface is intuitive and simple so that anyone who is familiar with E-commerce or other popular SaaS applications can use and setup SyncSpider. The pricing is designed in such a way that there is a perfect package for companies of all sizes. You pay an amount that matches the number of connected systems and services. So as you grow your business, SyncSpider grows with you! SyncSpider is always updated and we deliver new integrations frequently.  SyncSpider revolutionizes communication between a wide range of ERP systems, marketplaces and online shop solutions. Request access for the trial version and test it for free.